Anasayfa / Accessories / Satisfied with your polypropylene clearing? What if there is more? Satisfied with your polypropylene clearing? What if there is more? 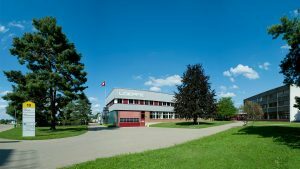 Wetzikon, Switzerland – The contamination of cotton with synthetic fibers is still a common concern for spinning mills. Especially white or transparent polypropylene fibers from bale packaging can affect the quality of the spun yarn. If the polypropylene contaminations are not removed properly during production, the spun yarn can cause costly complaints. Contamination clearing improves the yarn quality considerably. But if it is done too strictly, the production efficiency can be adversely affected and the amount of waste increases. 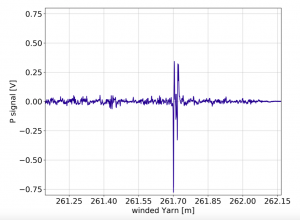 To optimize yarn clearing even further, Loepfe developed the new adjustment tool P-Matrix for its YarnMaster ZENIT+, which increases the clearing efficiency substantially. Extensive tests in a spinning mill in India showed impressive results. SLP Spinning Mills Private Ltd., based in Guntur District, India, produces high quality cotton yarns for local and export markets. The company, which has been founded in 2006, employs some 500 staff. The total capacity of 47,520 spindles is used to produce mainly combed compact cotton yarn in the range of Ne 40 to Ne 80. SLP has a totally integrated production and is continuously aiming to improve the facilities with innovative solutions. Modern technology is utilized to reach highest customer satisfaction. Contamination of the raw cotton with white and transparent polypropylene fibers is a major concern for yarn quality. Polypropylene contamination, which usually originate from bale packaging, may cause many problems in subsequent processes along the production, i.e. broken needles in knitting applications, thread breakage in weaving, and visible defects in the final product after dyeing are among those. To improve yarn clearing, SLP and Loepfe conducted extensive tests with the new P-Matrix tool, which can be used for adjusting Loepfe´s yarn clearer YarnMaster ZENIT+. “We use yarn clearer from Loepfe for many years now, and have always been satisfied with the results”, says Mr. Desu Suryaprakasa Rao, managing director at SLP. The goal of the tests has been a more precise adjustment of the yarn clearer guaranteeing best possible quality, while maintaining overall process efficiency. The test runs for the new adjustment tool P-Matrix have been done as follows: In the first step, a cotton bale, where the polypropylene has been segregated manually, has been used to spin Ne 60 combed yarn. The subsequent winding has been done on a Saurer Autoconer 6. The yarn clearer eliminated 20 synthetic foreign matter faults on a length of 100 km. The clearing efficiency was above 80 %, and there haven´t been any complaints from the customer. As SLP is always trying to improve methods further, Mr. B. Venkanna, general manager of the spinning mill has been curious to use the new P-Matrix tool. In the second step, the customer utilized the innovative P-Matrix to enhance the control over the clearing process. 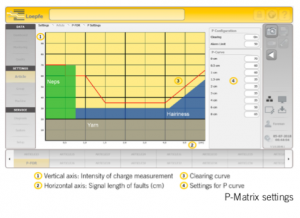 By entering the P settings the P-Matrix shows a clearing curve considering the most common factors to reach optimal and efficient clearing results. The operator can easily adjust settings to the individual needs by increasing or lowering the clearing curve, in order to receive optimum results. Other factors, like hairiness, neppiness, and yarn tension have to be taken into account. The settings can be exactly adjusted to meet the requirements of the actual spun yarn. The tests have been repeated as in the first step. Due to the precise adjustment with the P-Matrix the yarn clearer eliminated 42 foreign matter faults / 100 km, corresponding to an clearing efficiency of 95 %. The YarnMaster ZENIT+ combines different sensor principles in one single device. This enables the customer to effectively control the yarn quality. The P-sensor used for the synthetic foreign matter detection is based on the triboelectric effect (see box: Functionality: P-Sensor). The sensor is sensitive to different materials, and is therefore able to distinguish between cotton and synthetic foreign matter, such as polypropylene, polyethylene, polyamide (nylon) etc. 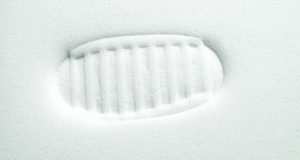 The unique sensor principle in combination with the new P-Matrix improves the synthetic foreign fiber clearing substantially. 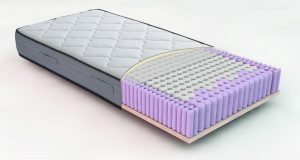 The P-Matrix facilitates the perfect adjustment of the clearing. The result is not only an effective clearing of synthetic contaminations, but at the same time an optimized overall production efficiency with less waste. The set of parameters can be stored separately for all different types of yarn and desired qualities. The so-defined yarn quality can be reproduced easily just by loading the parameters back into the ZENIT+. Costly complaints from customers are minimized, and the bottom line is a highly profitable operation of the spinning mill. All materials become electrically charged, when they come in frictional contact with another material. This effect, which is also referred to as triboelectric effect, is well known in everyday life: Rubber soles on carpet, woollen pullover on hair, or plastic on catskin – most static electricity originates from the triboelectric effect. In the YarnMaster ZENIT+ the yarn passes an electrode and exchanges electrons. A second electrode measures the resulting electrical charge and converts it into a voltage signal. As the effect is strongly depending on the material, the sensor can detect all synthetic foreign matters, regardless of the yarn thickness. The P-Matrix visualizes the sensor signals and enables an intuitive adjustment of the sensitivity. Built for the next generation! Since its establishment in 1955 by the brothers Helmut and Erich Loepfe, the company has been the pacesetter for innovation in textile quality control. Loepfe has established itself in the field of optical yarn clearers with pioneering achievements. 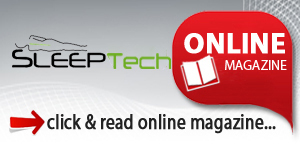 Today, Loepfe is considered worldwide as the specialist for integral quality control systems. Fifty percent of the worldwide yarn production is monitored by Loepfe yarn clearers. 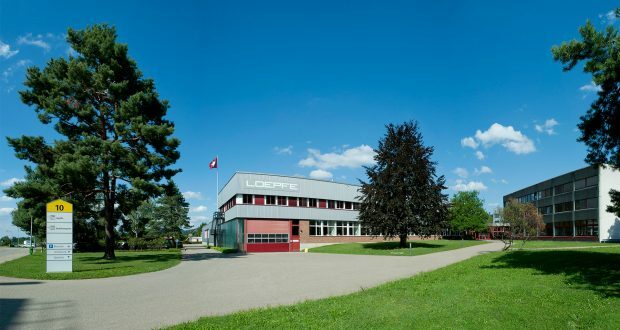 The headquarters are in Wetzikon/ Switzerland where Loepfe employs approximately 150 persons. The production location Switzerland guarantees stability and reliability. All Loepfe products are still developed and manufactured in Switzerland. Loepfe is represented in all important textile markets via an inter- national network of representations and service locations. Loepfe quality is based on our employees’ unique know-how and many years of experience. They do outstanding work. 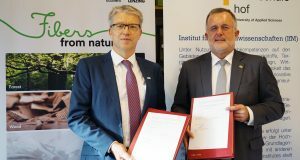 Loepfe invests systematically in research and development. We know the complex requirements of the textile industry and provide tailor-made solutions, state-of-the-art technology. We keep an eye on the future and already work on tomorrow’s solutions today.